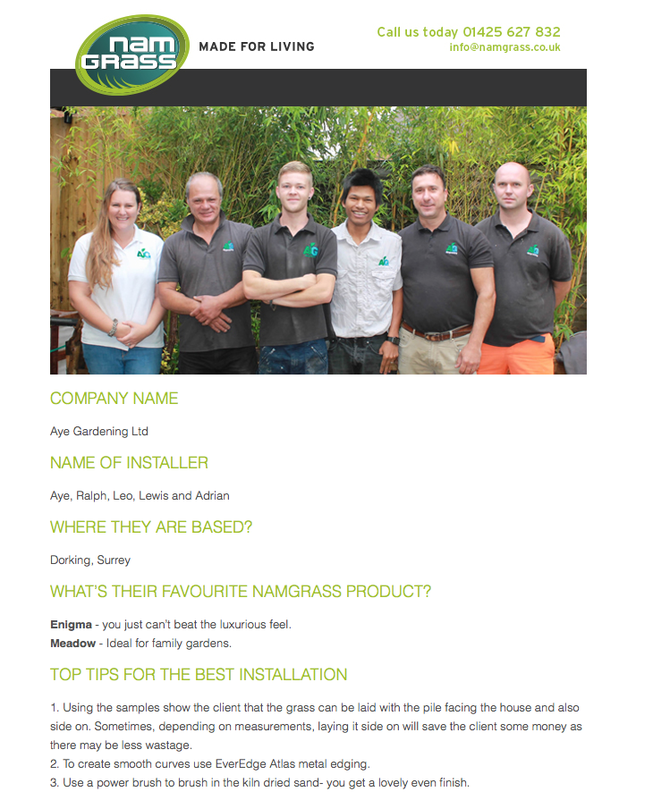 We were recently featured in the Namgrass newsletter and I thought it would be a great time to show you our team and to talk about our artificial grass installations. This year has been a record year for artificial grass installations. 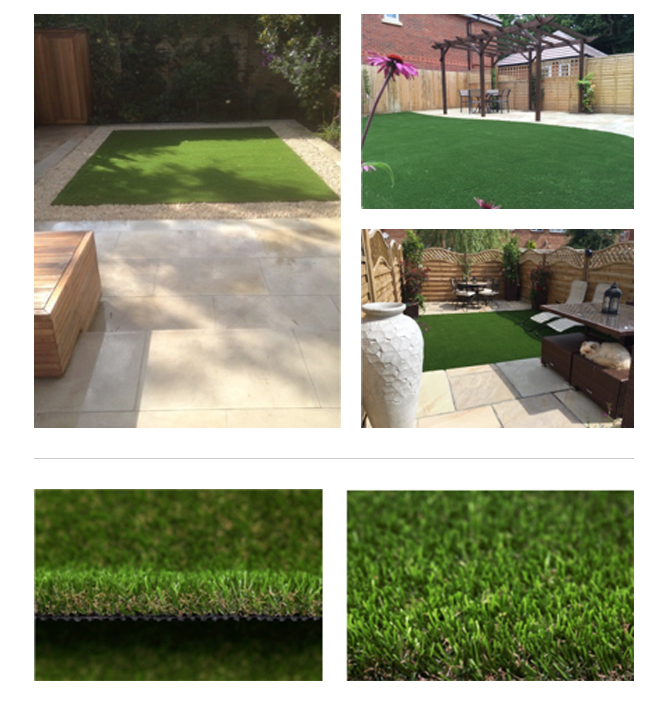 When I post pictures on twitter of our artificial grass installs we get lots of positive feedback. Occasionally we get the odd person who says "that's not eco-friendly"
I always respond by saying that by installing artificial grass we are not trying to get rid of natural habitats for insects and animals, we are not trying to get rid of greenery in the garden or even stop you having that freshly mown grass smell. 1. Helping clients to understand that nature and artificial grass can sit side by side. You can have low maintenance stunning artificial grass area and then a wild flower meadow in another part of your garden. Or like we have got in our own garden; a mud kitchen for our kiddies and a separate area for artificial grass . 2. Not every one wants mud coming into the house every time the kids or dog play in the garden. Artificial grass will stop the mud! Also, some areas of lawn just will not grow grass well because of over hanging trees and structures - artificial grass is perfect for this. 3. We are helping clients who need a low maintenance lawn because cutting the grass does not fit in with their busy lifestyle. Low maintenance planting and hedging can also be included in the design. 4. Installing artificial grass is not the same as paving over a garden. Rain will drain through the grass and our base is great for garden's who do not have good drainage.